LEXINGTON, Ky. (Nov. 8, 2018) – Bethany Wilson's doctors told her family it was time to say goodbye. In 2014, after three years of active addiction and a heart valve replacement to treat endocarditis, there was nothing more they could do. "I had endocarditis, septicemia, liver and kidney failure and triple pneumonia," said Wilson. "I had suffered a stroke, I was in septic shock and I had suffered multiple seizures." Her parents didn't want their daughter's struggle with addiction – and their struggle in helping her – to be in vain so they took a photo of Wilson in her hospital bed and decided to share their story with the goal of saving lives and providing comfort and support to the millions of people across the U.S. who love someone with a substance use disorder. Four years later, 32-year-old Wilson's life couldn't be any different. She's newly married, the mother of six healthy children and working as a peer support specialist. Wilson has nearly three years of recovery behind her and many more ahead of her. 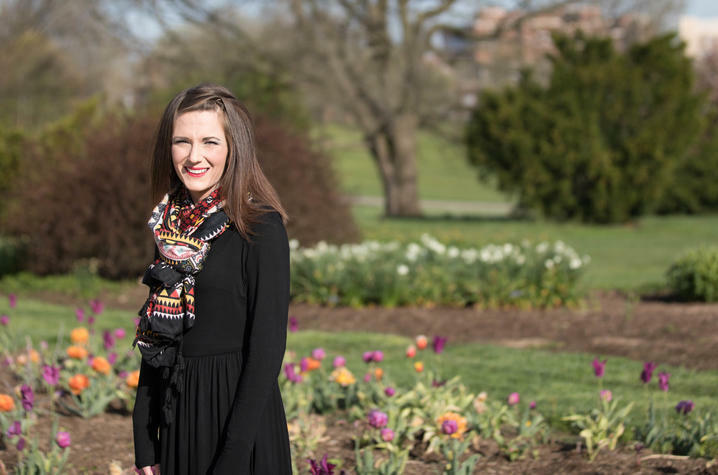 She attributes her success to the care she received from the University of Kentucky Perinatal Assisted Treatment House (PATHways) and Beyond Birth clinics. Since its inception in 2014, PATHways and Beyond Birth have helped more than 300 women access evidence-based and comprehensive treatment for opioid use disorder. 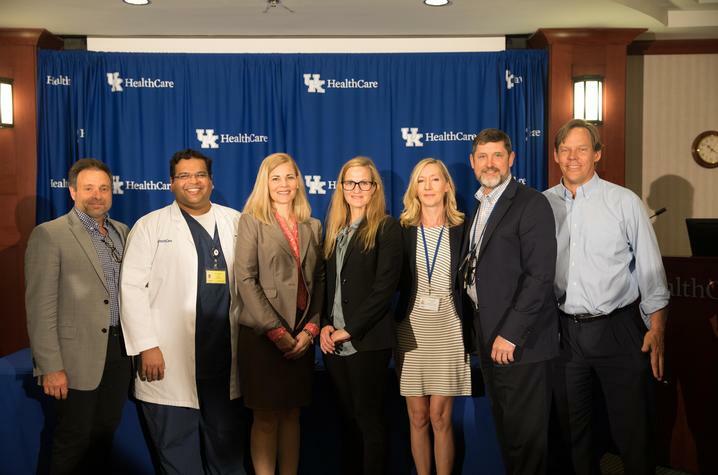 Now, thanks to a partnership between the University of Kentucky, the UK College of Nursing, UK HealthCare and the Kentucky Cabinet for Health and Family Services, more women in the Commonwealth will be able to access the same high-quality, evidence-based, comprehensive care that helped Wilson and hundreds of other women. Beyond Birth is moving from its current location at the Polk-Dalton Clinic to a new facility on the Eastern State Hospital campus, which will be known as the Beyond Birth Comprehensive Recovery Center. The new 11,450-square-foot facility includes seven exam rooms, four group rooms, individual behavioral health space and a parent/child interaction room; it will also be equipped with telehealth capabilities. The Beyond Birth program incorporates the best practices in the field for treating early-parenting women for opioid use disorder. The program provides holistic care for women, including medication management, individual counseling, group counseling, peer support and treatment of co-occurring mental health disorders. Participants’ social needs are also addressed through legal support, parenting classes, employment assistance and educational opportunities. Patients are encouraged to bring their infants and children with them to appointments, which allows for guidance on infant and toddler care as the family adjusts to their new routine. 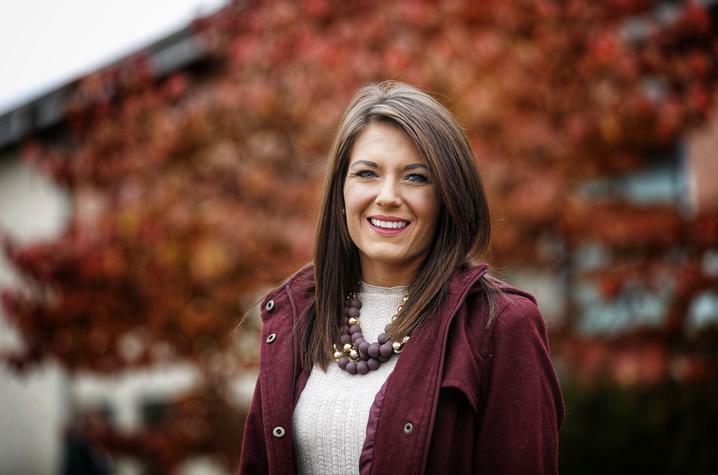 When Wilson began the program in 2016, she had made multiple attempts at sobriety. She'd been treated through an intensive outpatient program and two inpatient programs and had she spent time in jail. She'd also made multiple attempts at recovery on her own. But it was the mixture of support from other women in the UK programs and the team involved with her care that ultimately helped Wilson sustain her recovery. According to the Substance Abuse and Mental Health Services Administration (SAMHSA), there were 2.5 million people age 12 and older in the U.S. who met the criteria for opioid abuse or dependence in 2016 and approximately 11.8 million people misused opioids in that same year. The rising use of opioids, both prescription and illicit, has led to increased rates of neonatal abstinence syndrome (NAS) a condition caused by in utero exposure to opioids. Rates of this condition have increased at an alarming rate: in 2016, 1,257 babies in Kentucky were born with NAS. 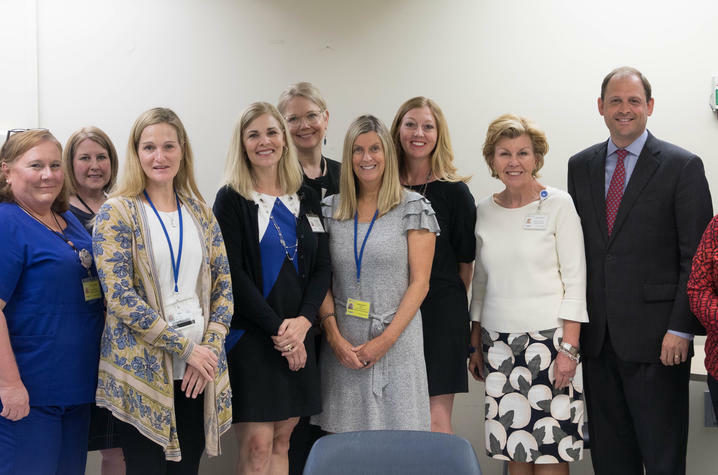 "The growing epidemic of opioid-addicted mothers has instituted a new challenge in the Commonwealth to bring holistic care to an at-risk population," said Janie Heath, dean of the UK College of Nursing. "In addressing these challenges and helping these women, Beyond Birth provides an extended care plan for mothers after they’ve been discharged from obstetric care but are still adjusting to becoming a new mother." This new space will enable the piloting of a group prescribing model that aims to increase access to buprenorphine when appropriate, said Dr. Michael Kindred, medical director of Beyond Birth and assistant professor of psychiatry. Group prescribing entails seeing multiple patients simultaneously and, in that group setting, managing medication and discussing any issues. Grant funds from Medicaid and SAMHSA will enable the piloting of group prescribing, which is not currently a billable service by Medicaid. The program will begin group prescribing and measure the effectiveness among this high-risk and vulnerable population. This model will be used for patients who are well established and are not in need of treatment for co-occurring disorders. Group prescribing won't take the place of doctor's visits for other health issues, but can enable Kindred to see up to 12 patients in 35 minutes and provide an evidence-based treatment for opioid use disorder. "A big barrier to seeing patients is time – you only have so much time per day," Kindred said. "Because buprenorphine prescriptions need to be discussed more frequently than other medications, seeing multiple patients at a time can increase the number of patients who can be treated without limiting the amount of time a provider might have to see other patients." Group therapy is part of the care provided to women at Beyond Birth and though many women are initially reluctant to participate, most find it to be their favorite part of treatment. In group therapy, they find people they can relate to, people with lived experience and people they trust for advice, Kindred said. He also believes that same sense of safety and support will translate to group prescribing appointments and that the new spaces at the Beyond Birth Comprehensive Recovery Center, which are specifically designed for group appointments, will create an even better treatment environment. Unfortunately, due to limits of space and staff, about 100 women have been unable to participate in Beyond Birth if they did not participate in the PATHways program. This new space will provide an opportunity for women who have already delivered or didn't have a chance to receive prenatal care. Kristin Ashford, professor and associate dean of undergraduate faculty and interprofessional education affairs in the UK College of Nursing, is looking forward to the ways the new facility can improve and expand access to Beyond Birth. "Beyond Birth offers a nonjudgmental and welcoming environment and our mothers trust us," she said. "We know that recovery happens in a community. Here, at Beyond Birth, we now have the space and have created that community." Addiction is a stigmatized disease. Sharing her story isn't always easy, but the good it can do outweighs the potential negatives, Wilson says. "I share my story because I feel it is so important for people to hear the success stories and positive stories.” Wilson said. “I know so many people who have success stories similar to mine, but unfortunately they don't feel comfortable sharing their experiences because of the stigma around medication-assisted treatment." Stigma keeps people silent, and that silence ends lives every day, she says. "If it isn't talked about, then nothing will ever change,” Wilson said. “If a person struggling with substance use disorder hears or reads my story and finds hope, or a family member who has felt like all is lost begins to see that change is possible – even if it is just one – it is worth it."